So, back to the mobile home, I was only going to rip out the carpet and paint the floor in the back room but my helpers had other ideas. My niece wanted to paint the walls and ceiling and my mother thought vinyl flooring would be nice. Funny story about the closet. I told my niece that she didn't need to paint the closet but then she got paint on the wall when she was painting the floor. I said she could just even out the line and leave it as a 4 inch stripe. I left and when I came back the white was now 2 feet tall and she said that should couldn't get the line straight. I had to step in and paint a semi-straight line to end the madness. After all, I pretty much only have around 12 Saturdays left before my nephew's return and this is only a storage room. We need to move on to making the bathroom functional right away. The vinyl flooring view from the other side of the room. I was skeptical about vinyl because the other sheet vinyl that I bought was thin and cheap. This new stuff is still economical at 87 cents a sq.ft. but it is so much thicker and glue is optional which means it won't curl at the edges like the cheap stuff. I like it so much that I want to use it in all of the rooms of the mobile home and probably in the barn-house too. Next on the list, move everything back in here plus what is in the second bedroom so I can put vinyl down everywhere else. 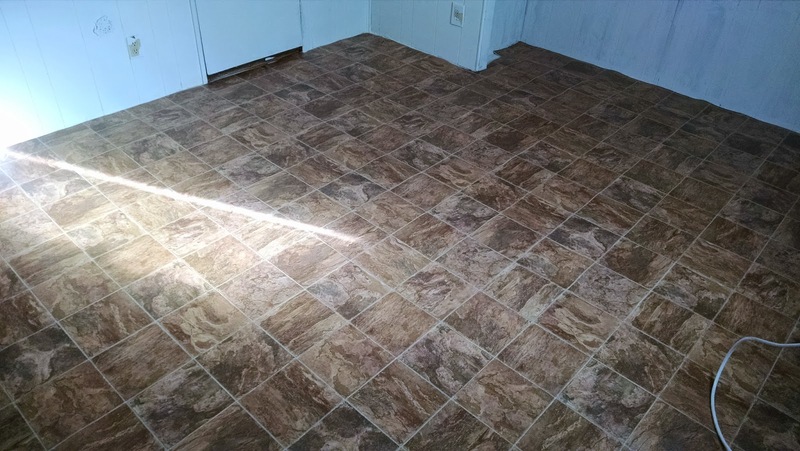 I'm even thinking about putting vinyl over the gross tile in the bathroom. Out of sight, out of mind (as long as the grout doesn't smell). That flooring looks really good. I cant believe how cheap it is. Getting there! I like modern vinyl too - its very functional. Comfortable to walk on, not cold, easy to clean and lay, and economical. Thanks, Lizzie! It is the shortcut I need for flooring. Actually, I need shortcuts for everything! I agree, George. It's come a long way since the cracking yellowed mess in the 60's and 70's kitchens. Only one Home Depot carries it around here and lucky for me it is close by. 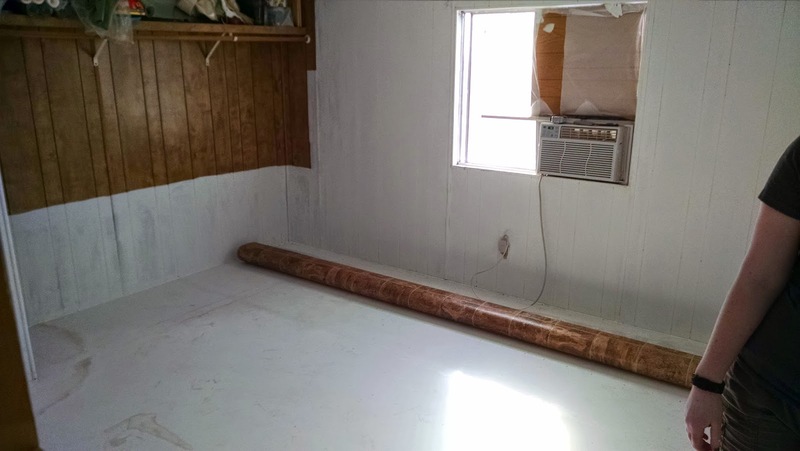 I think you should maybe put down a vapor barrier over any gross tile to prevent the smell/grossness to seep up. Nice flooring choice. 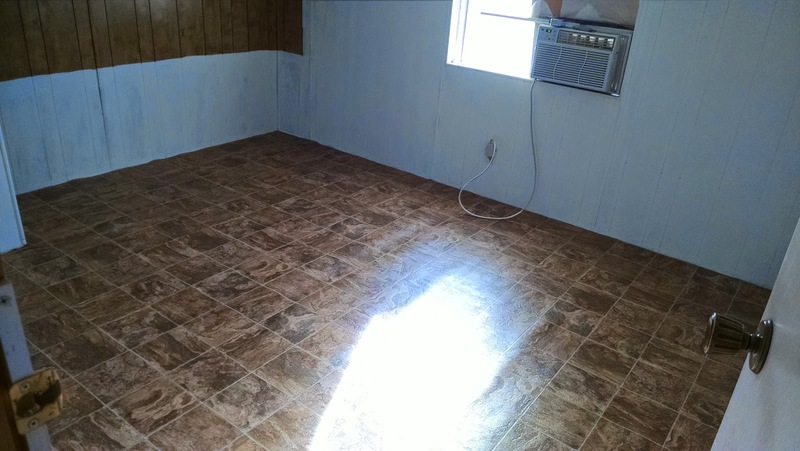 We put vinyl planks down on our RV floor and even in wet/humid locations that we travel to (i.e. Oregon coast, soCal, etc) it has held up way better than expected. Still looks new actually. By the way, your cabin/barn/whatever-you're-calling-it, is totally SKOOKUM! I'm excited to see the inside finishes. Big Sis, I can't believe you are getting away without visiting my "property". I have the perfect job for you, chipping out gross tile and grout! Oh well, come back soon! Hi kelsi! 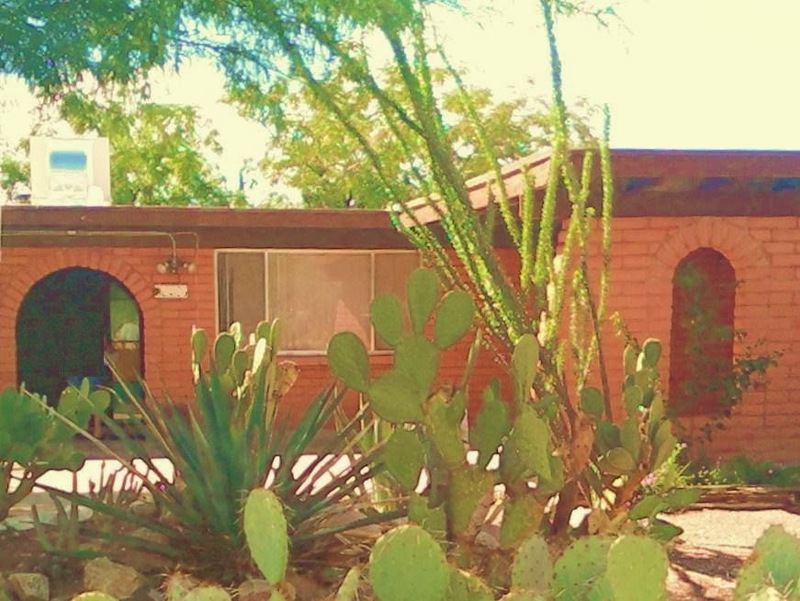 I still have your RV reno posts bookmarked even though I don't have my RV anymore. I love your upgrades! Those vinyl planks are cool. What would happen if someone dropped a cup of soda or juice or something? Are there any little grooves that are hard to clean?